Rising prevalence of breast cancer from past few years has augmented demand for advanced automated breast ultrasound systems (ABUS). In 2016, the American Cancer Society registered more than 245,000 new patients of breast cancer in the U.S. This rise in prevalence is augmenting demand for advanced ABUS systems. For instance, QView Medical, Inc. is one of the key players in the market which develops computer analysis systems for detecting breast cancer at the initial level. On November 9, 2016, the company had announced to have gained approval for QVCAD from the US Food and Drug Administration (FDA). QVCAD is an advanced computer-aided detection (CAD) system for automated breast ultrasound works on deep learning algorithms. The traditional CAD is considered as second read whereas, QVCAD is first FDA approved CAD system mainly used for concurrent reading. It represents results in the C-thru™ Navigator image by highlighting an important part. This also provides original ABUS image. In 2012, FDA approved first ABUS system, somo.v® ABUS from GE/U-Systems for the screening of breast cancer. This system can generate about 2000 2D images which are equal to 4 images of mammography. This large number of images consumes a lot of time and sometimes distract from the test results. This is major drawback of ABUS which QVCAD overcomes. It offers single page and highlight a specific part and observe it in all the images. Also, it can highlight complete breast in 3D in a single image with accurate location. Its clinical tests prove that ABUS can detect mammography at the initial stage of breast cancer. Research carried out in the US states that addition of ABUS to full-film digital mammography (FFDM) can detect invasive breast cancer even in the dense breast tissues and improves accuracy considerably. Addition of QVCAD into ABUS will offer more accurate results and expected to augment demand for ABUS systems from healthcare service providers and hospitals in the near future. This demand will aid growth of the market over forecast years. Automated breast ultrasound system (ABUS), a new technology, is the alternative to traditional hand-held ultrasounds for breast screening. Same as traditional ultrasound, the technology uses high-frequency sound waves that are targeted at the breast with the advantage of receiving a 3-D volumetric image of the breast. ABUS examinations require much less time than traditional ultrasound – which can be half the time need for traditional ultrasounds. Moreover, the transducer used in ABUS performs an automatic scan of the breast, thereby reducing operator dependency to a high degree. Across the world, the increasing incidence of breast cancer is significantly contributing to the growth of the automated breast ultrasound system market. According to the World Cancer Research Fund, the prevalence of breast cancer is 25% higher than other types of cancers in women. Environmental changes and lifestyle changes are increasing the susceptibility to several diseases among women, which includes breast cancer. Chemicals found in plastics, polychlorinated biphenyls, cosmetics, and pesticides contain estrogen properties, which increases the risk of breast cancer. Moreover, escalating unhealthy habits such as drinking and smoking is leading to considerable rise in cancer, fuelling growth of the automated breast ultrasound system market. Initiatives undertaken by several governments around the world for increasing awareness about breast cancer have resulted in an increased number of women undergoing screening. Not only this, several charity organizations are also engaged in creating awareness for the disease and availability of advanced diagnostics for early detection of the same. Advances in breast imaging devices have helped doctors diagnose breast cancer at an early stage and more effectively. In this context, Hologic, is a market leader in the manufacture of equipment for breast cancer detection. In the U.S., 62% of the mammography systems used are manufactured by Hologic. Hologic’s detectors have been significantly important for technological breakthrough in mammography over the last two decades. The first major leap came in the early 2000s when mammography jumped from film to digital. In a next major leap, in 2011, Hologic was the first company to receive FDA approval for the commercial launch of 3-D imaging process called digital tomosynthesis. The technology, which is rapidly becoming an industry standard is replacing single, two –dimensional images from conventional mammograms with a multitude of X-ray images that are taken a few millimeters at a time. The global market for automated breast ultrasound system can be broadly segmented into North America, Europe, Asia Pacific, Latin America, and the Middle East and Africa. In North America, the U.S. contributed a significant revenue to the regional market due to high prevalence of breast cancer and favorable government initiatives for the use of advanced diagnostic techniques. Germany accounts for a significant revenue contribution to the Europe ABUS market. As per the Immunological & Oncological Center, the region records almost 70,000 breast cancer cases each year. With the introduction of screening programs and their effective monitoring, clinical cancer registries have been equipped for the early diagnosis and quality care for cancer. In Asia Pacific, the rising awareness for the early detection of breast cancer and technological advancements for improved screening systems is expected to fuel growth of this market. 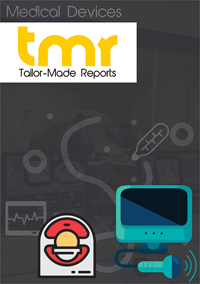 Some of the key companies operating in the global automated breast ultrasound system market are GE Healthcare, Hitachi, Philips Healthcare, Siemens, and SonoCine. Key players in this market are focused on the development of innovative and advanced systems in order to stay competitive in this market.